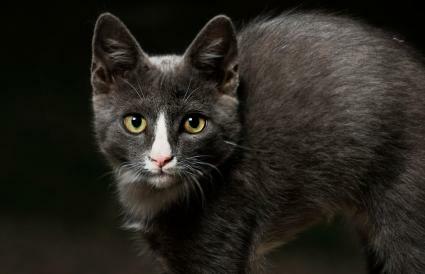 Facts about Friday the 13th explore the history and possible origin of the superstition. Urban legends and other stories about this date have promoted and embedded it in cultures. There are two popular contenders for the title as origin of the Friday the 13th superstition. Both are religious in nature. The most popular theory of how the Friday the 13th superstition began has Biblical beginnings. Specifically, the Last Supper is said to be the starting point. Jesus broke bread with his 12 apostles, making the dinner guest number 13 the centerpiece for bad luck Friday. Jesus was arrested on Friday thanks to Judas' betrayal and on Friday, Jesus was crucified. The Knights Templar (defenders of the Holy Land) were arrested on Friday, October 13, 1307 on the orders of France's King Philip IV. Hundreds of knights were arrested and imprisoned as part of the King's plan to loot their treasure. Many of the knights were executed. The concept of Friday the 13th being a day when bad and evil things happen has been reinforced over the decades by books, movies and even a haunted house attraction and entertainment company. There is a very real clinically documented phobia of the number 13. This fear is known as Triskaidekaphobia. According to TimeandDate.com the 13th can fall on Friday as few as once a year or as many of three times a year. In French Lick, Indiana on October 13, 1939, it was decreed that all black cats had to wear a bell on Friday the 13th. The book Friday the 13th by Thomas William Lawson depicts a stockbroker planning to crash Wall Street on this date. Soon after publication, stockbrokers stopped trading on Friday the 13th. The Friday the 13th movie franchise shouldn't be confused with the book. The psychotic serial killer Jason Voorhees wears a hockey mask while terrorizing his victims. The book states that Adam and Eve are to blame for Fridays being deemed unlucky. The couple ate the forbidden fruit on a Friday and died on a Friday. Racine's comedy of Les Plaideurs states, "He who laughs on Friday will weep on Sunday. Sorrow follows in the wake of joy." Brewer states that "Old Romans called it [Friday] nefastus, from the utter overthrow of their army at Gallia Narbonensis." An England proverb stated, "A Friday moon brings foul weather." There are several superstitions and fears about the number of 13. Many stories, some ancient, depict the number 13 being unlucky. Norse mythology described 12 gods at a dinner party with Loki, the trickster god making the 13th guest. During the dinner, Loki deceived the blind god Hother into killing the god Balder. The story of Balder's death, is blamed for the dinner etiquette that it's bad luck to host a dinner party with only 13 guests. According to National Geographic, during the time of ancient Rome witches were common and would gather only in groups of 12. Once joined by Satan, the number in attendance was 13. Many hotels don't have a room 13 or a 13th floor. This number is skipped, and the room or floor is numbered 14. Some cities don't have a 13th street; instead, the street has a name and number 14 resumes the street numbering. There have been several clubs formed to thumb their noses in the face of Friday the 13th superstition. Each tempts fate with superstitious antics. Members met for dinner every month on the 13th. Club membership was $.13 a month or a lifetime membership for $13. The meal began at 13 minutes past the hour. The dining table seated 13 guests with 13 candles on the table and were served a 13 course-dinner. The guests would walk under ladders, open umbrellas, break mirrors, spill salt, light three cigars with one lighter and other acts obstinate defiance of superstitions. Five presidents were members of Fowler's club including, Grover Cleveland, Chester Arthur, Benjamin Harrison, William McKinley, and Theodore Roosevelt. 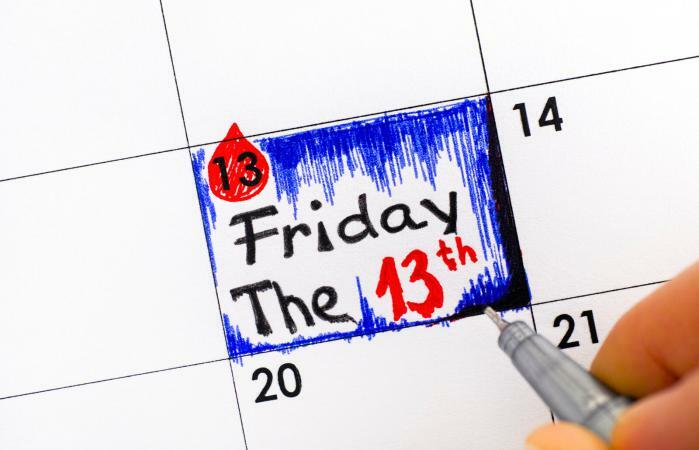 There are numerous stories about Friday the 13th and the unlucky incidences associated with this date. Many facts about the number 13 and the day of the week have formed a worldwide superstition about this particular date.